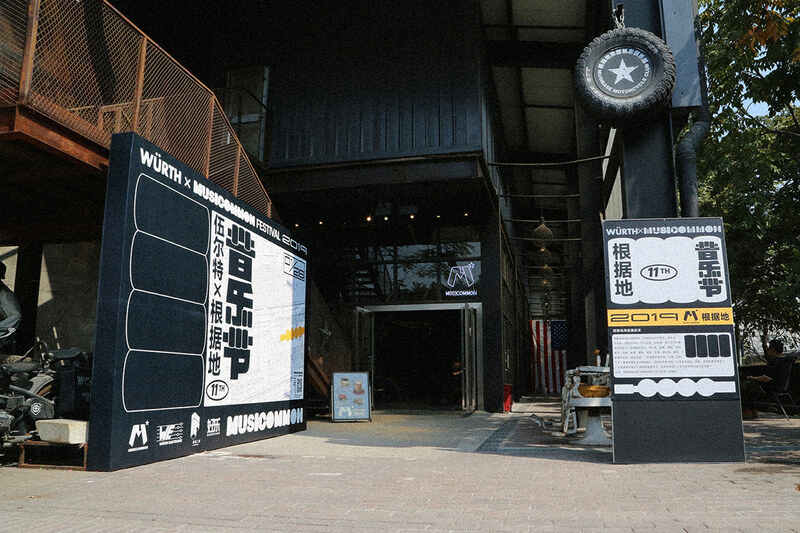 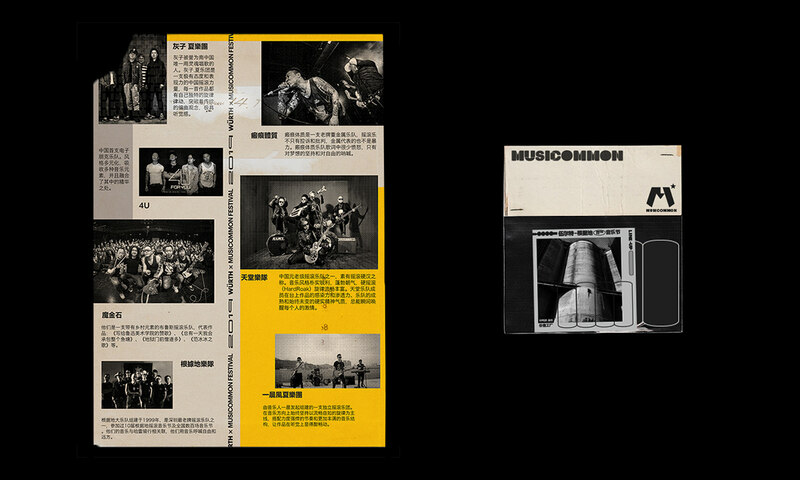 The concept of Musicommon not only based on its geographic point of view as it is a multi-functional creative space based in Shekou industrial factory area but also from experimental perspective. 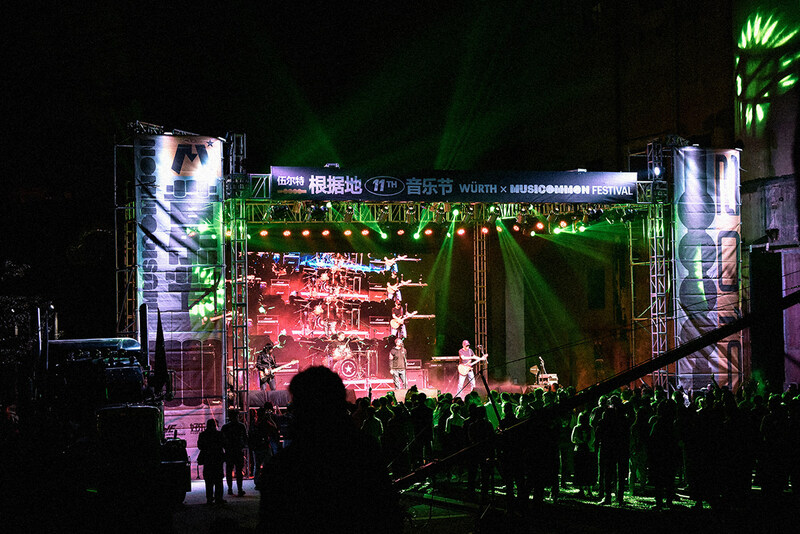 It aims to value a new lifestyle that features art events and salons in the fields of live music, heavy-motorcycle, contemporary art and traditional Chinese culture. 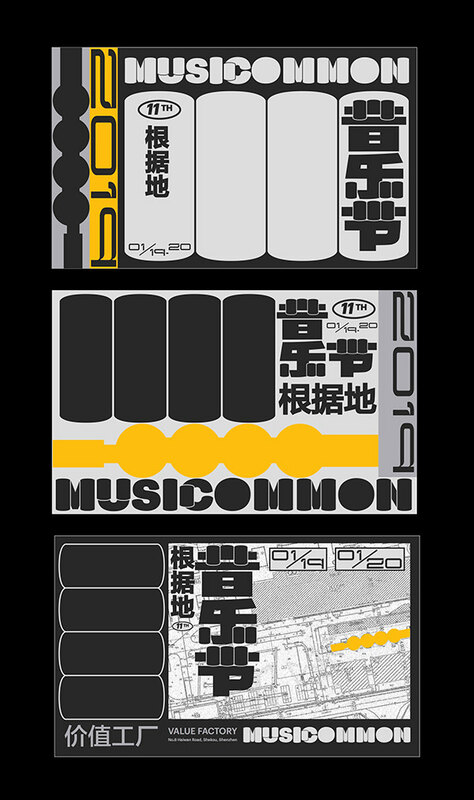 For this reason, we decided to set the core visual concept in the creating a container or a “common” for all different kinds of activities. 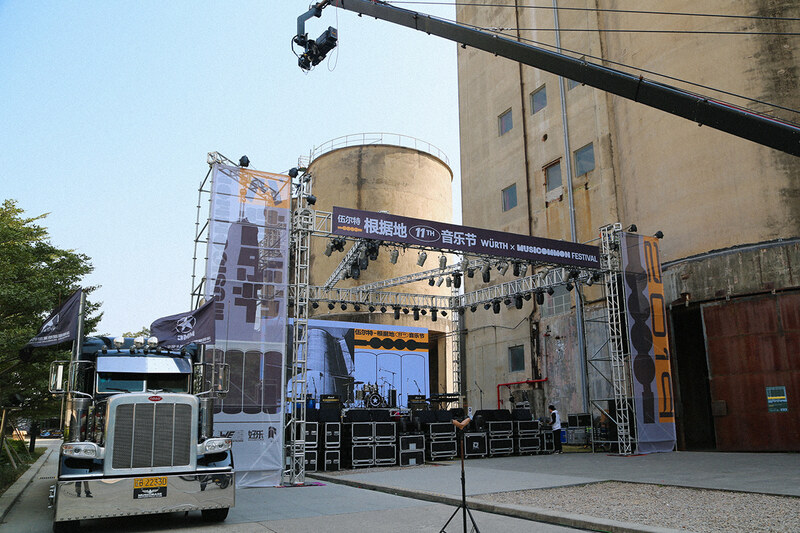 The main color scheme of grey symbolizes the color of factories and cement. 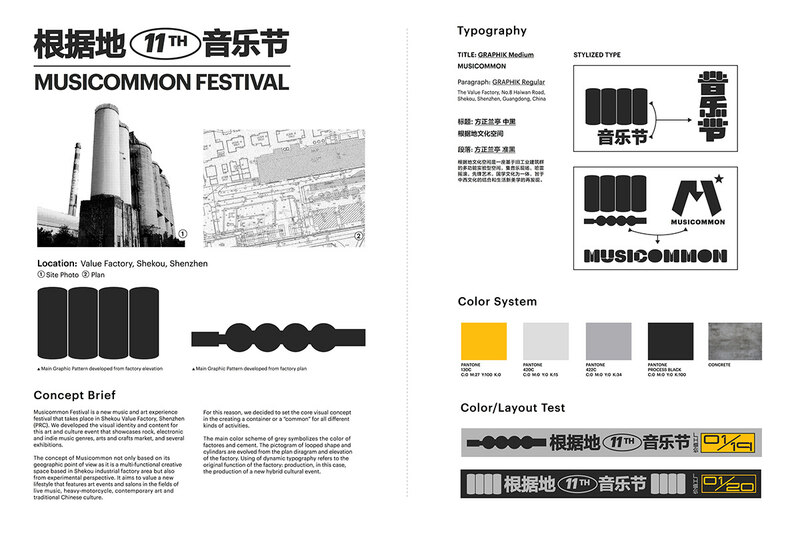 The pictogram of looped shape and cylinders are evolved from the plan diagram and elevation of the factory. 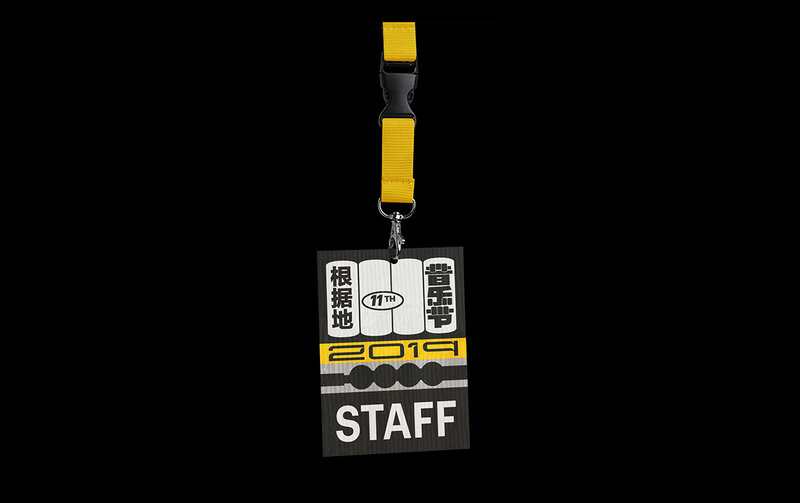 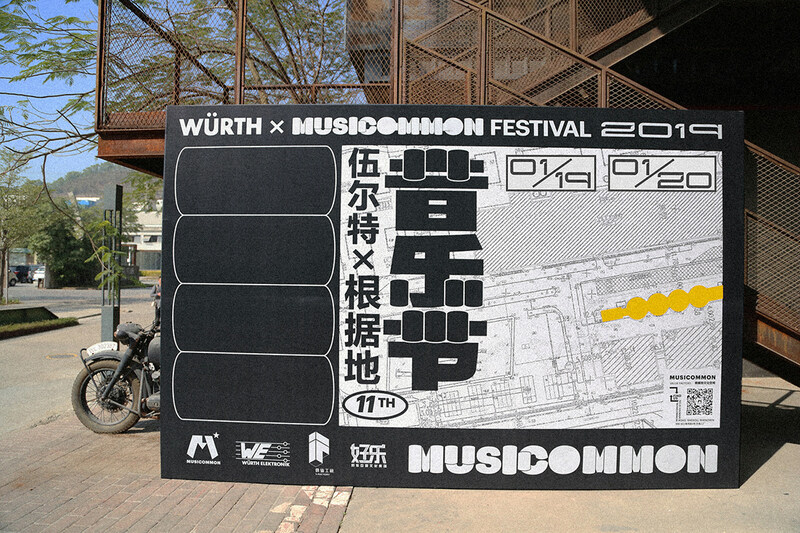 Using of dynamic typography refers to the original function of the factory: production, in this case, the production of a new hybrid cultural event. 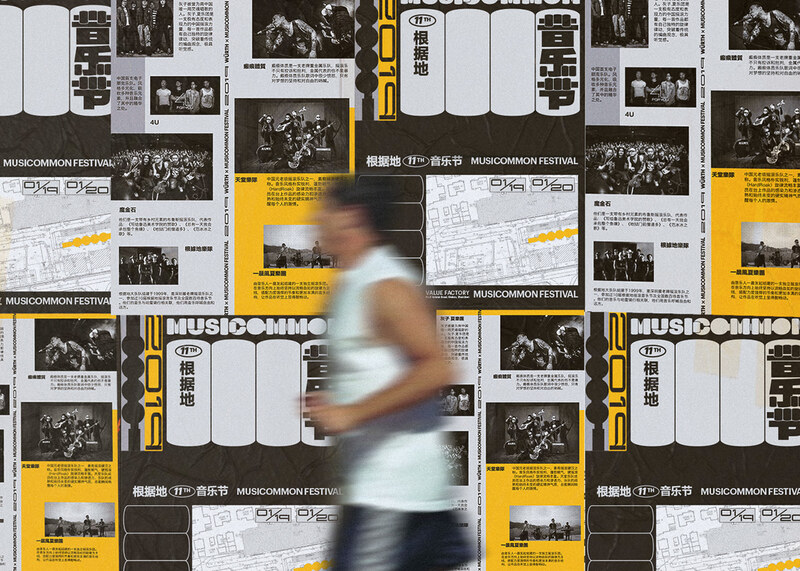 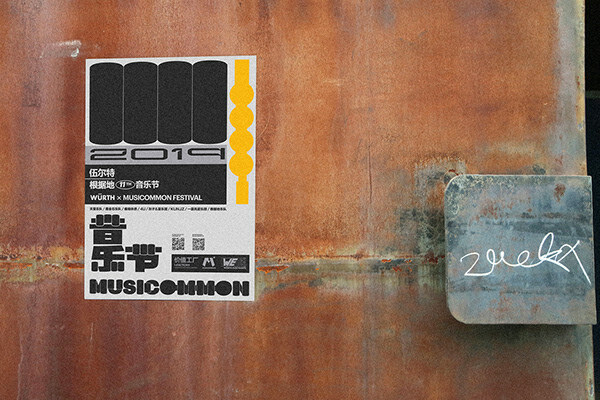 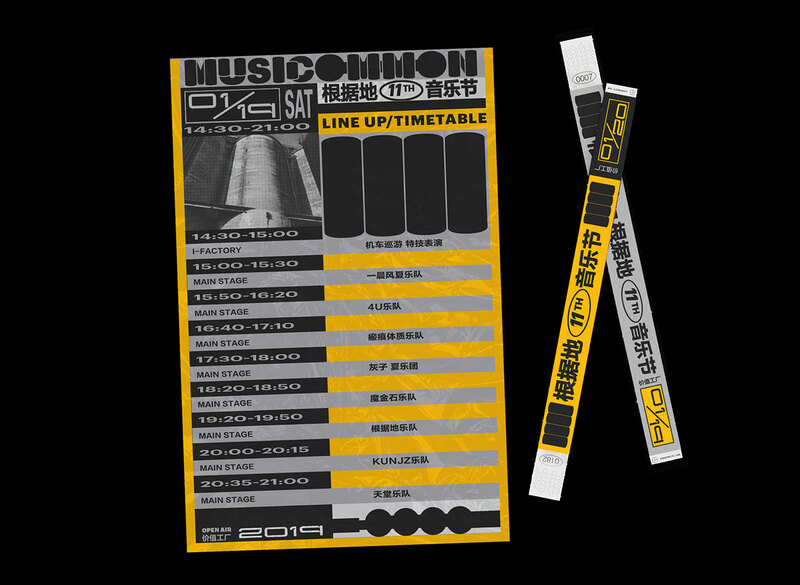 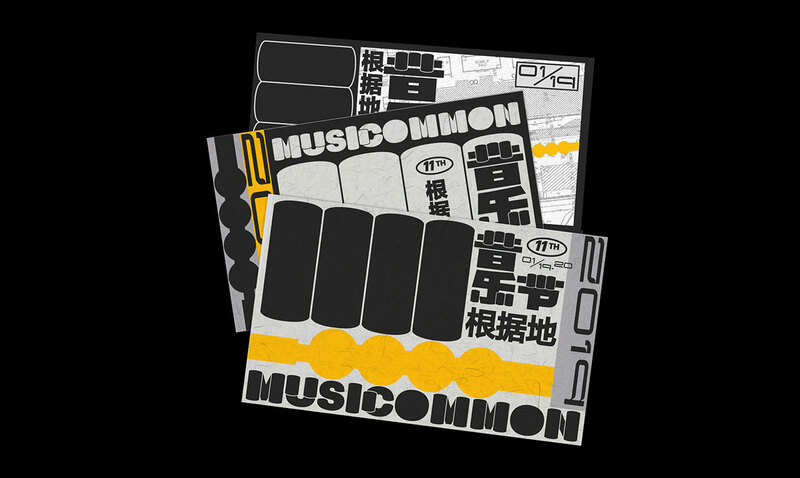 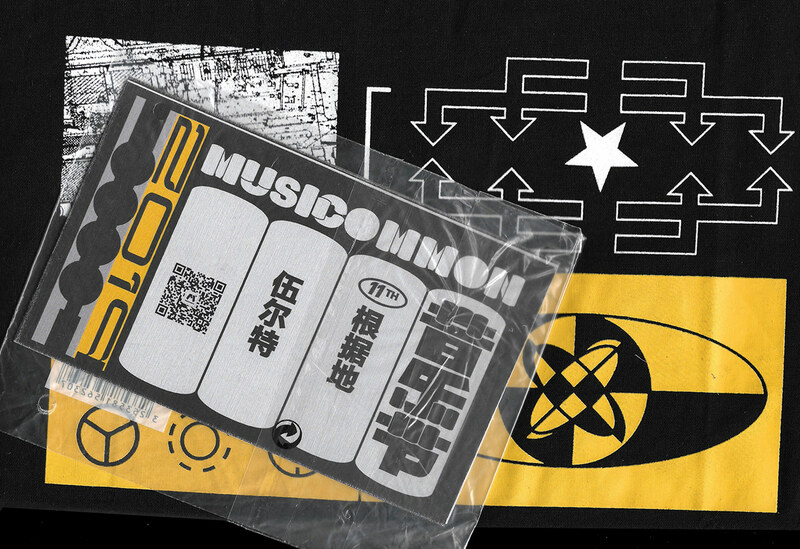 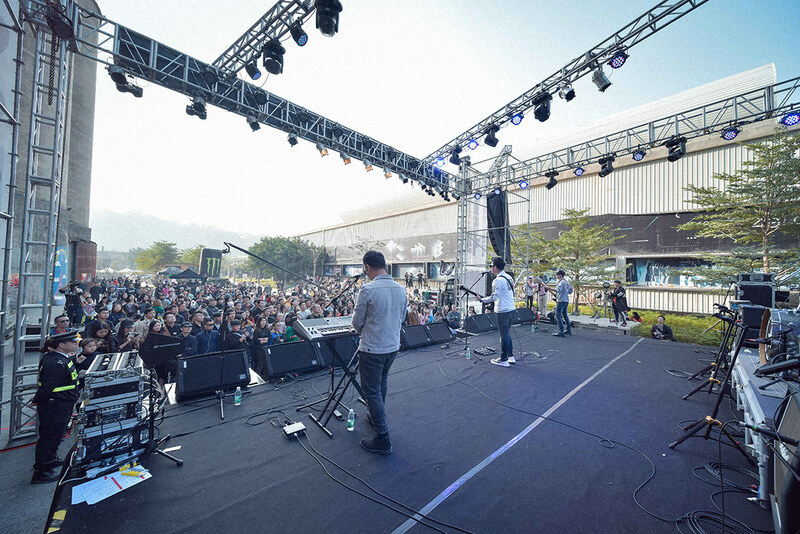 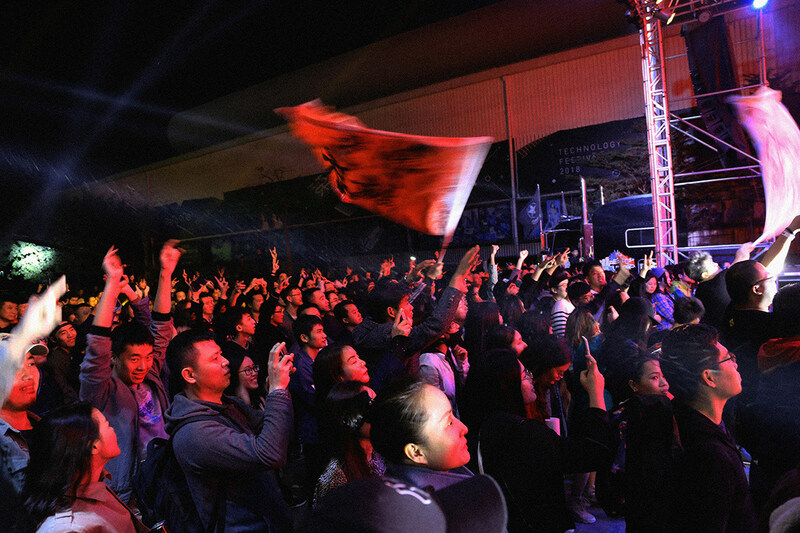 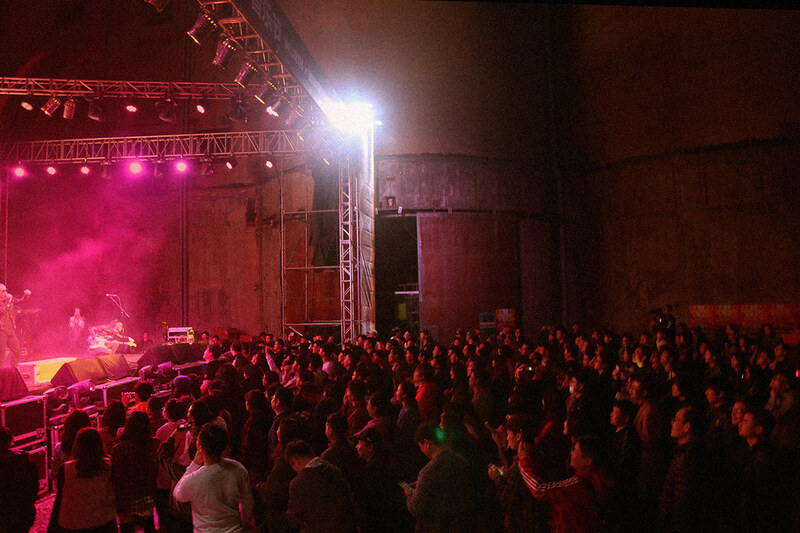 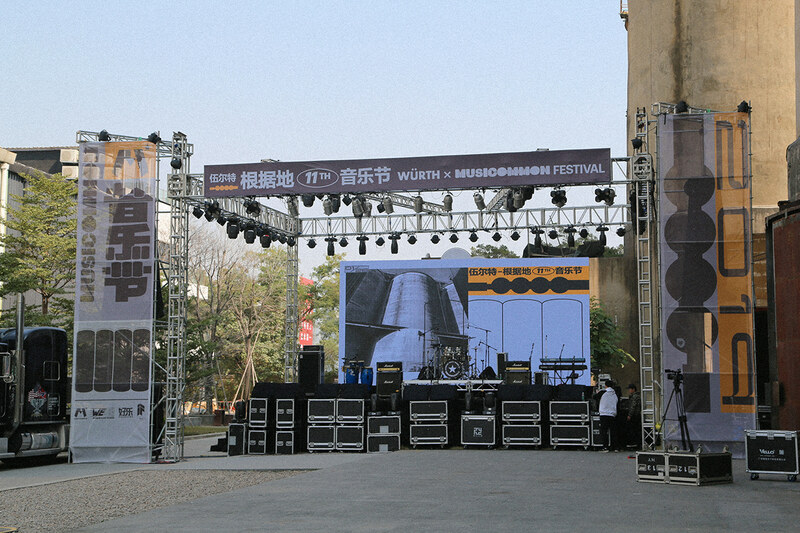 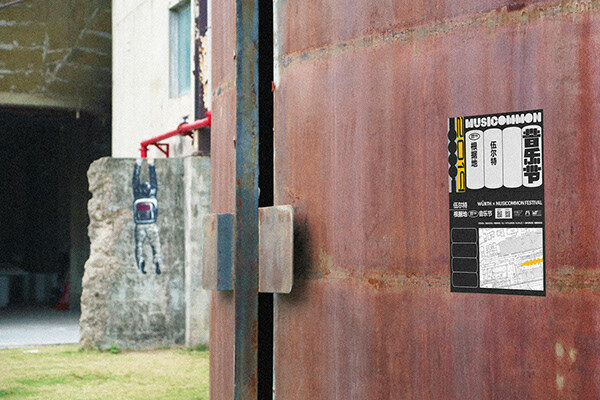 Musicommon Festival is a new music and art experience festival that takes place in Shekou Value Factory, Shenzhen (PRC). 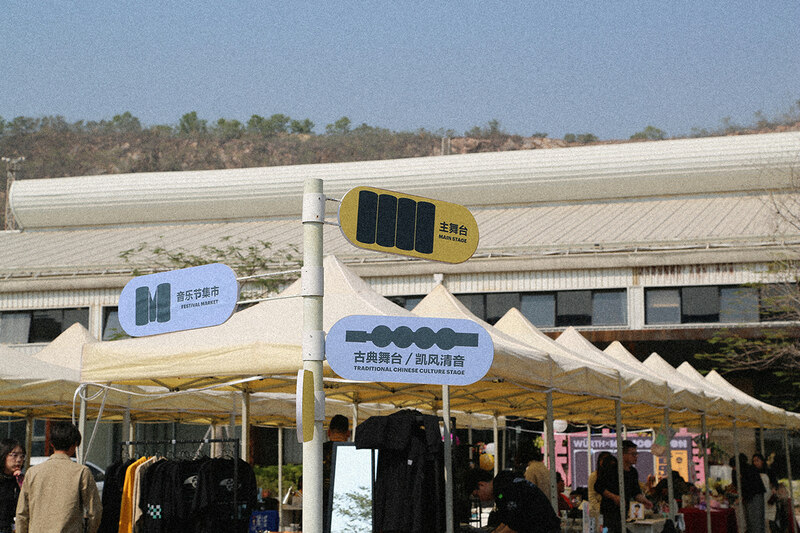 We developed the visual identity and content for this art and culture event that showcases rock, electronic and indie music genres, arts and crafts market, and several exhibitions.